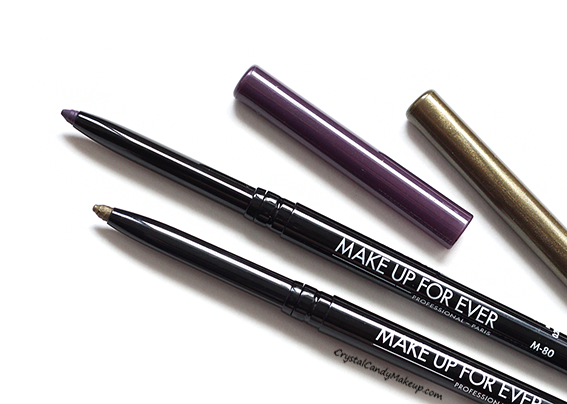 Make Up For Ever has to be one of my favorite brands, many of their products are staples in my makeup bag including their new Artist Liner eye pencils! Available in 15 shades, these twist-up pencils stays put all day and provides intense color payoff. 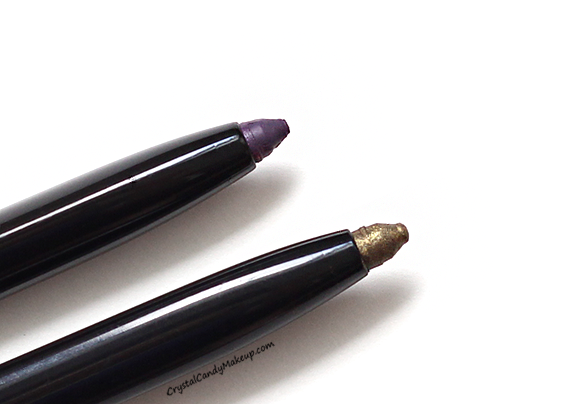 M-80 is a matte plum and I-30 is a shimmery khaki, both shades have excellent color payoff. 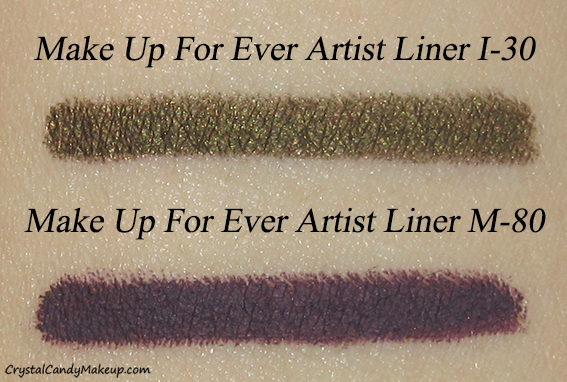 The matte plum looks amazing on green eyes, by the way! These new pencils do everything they claims to do : The texture is so creamy it glides on like a dream on the lids and I love that they don't dry too fast so I have enough time to smudge them with my MUFE #210 brush! They are waterproof and they don't smudge or flake during the day. You can also apply them on the waterline, but the staying power isn't exceptional, they lasted 3-4 hours on the waterline. The only thing I don't like is that we don't get a lot of product for the price, so I would buy the cool shades that I know I won't use very often anyway (I would never finish them! ), but for a shade that I use everyday (like a good black) I would buy the Aqua Eyes instead. 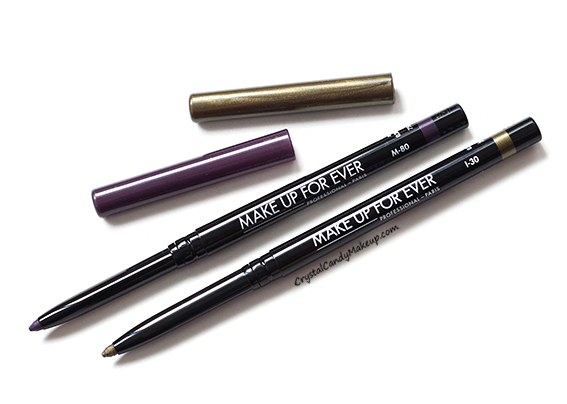 Make Up For Ever did it again, I love these pencils! 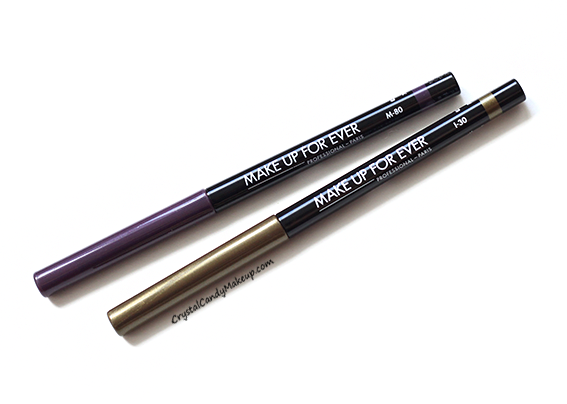 The Make Up For Ever Artist Liner Intense Pay-Off Gliding Eye Pencil retail for $24 CDN for 0.28g.